You’re welcome for the shot of Daisy eating. That one’s a freebie. 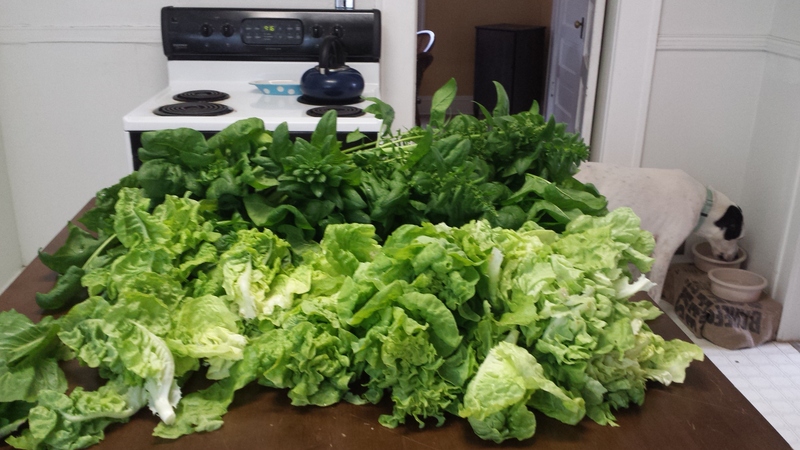 In order to avoid eating my weight in salad every meal (I still have PLENTY in the garden), it was giveaway time for the lettuce, and blanch-and-freeze time for the spinach, which means it was large-batch produce cleaning time in my kitchen sink. I thought I’d share my method for doing this. It works great when you have a voluminous amount of greens like I did, but is also perfect for taking care of a week’s worth of assorted produce, all at once. You can unload your grocery bag right into the sink with this method. I like it because it keeps the veggies crispy-crunchy until you use them – often a problem with organic produce that hasn’t been treated to withstand a long, diesel truck drive to you. 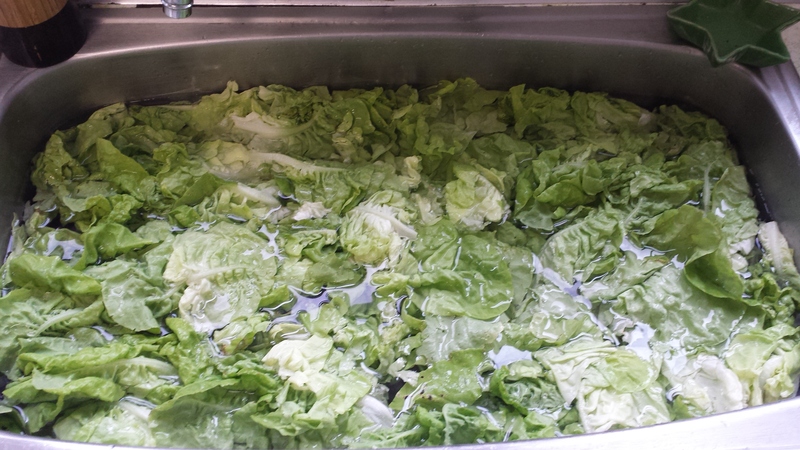 “Victoria” variety butterhead lettuce leaves. Step one: Fill a large bowl (or your very clean sink) with a 1:4 ratio of vinegar and water. Step two: Mix up the vinegar and water, then dump in the goods. Swish them around and let them soak for a good five or ten minutes. This is where the magic happens. This is the part of the process when you’re really thankful you decided to do this. My love. 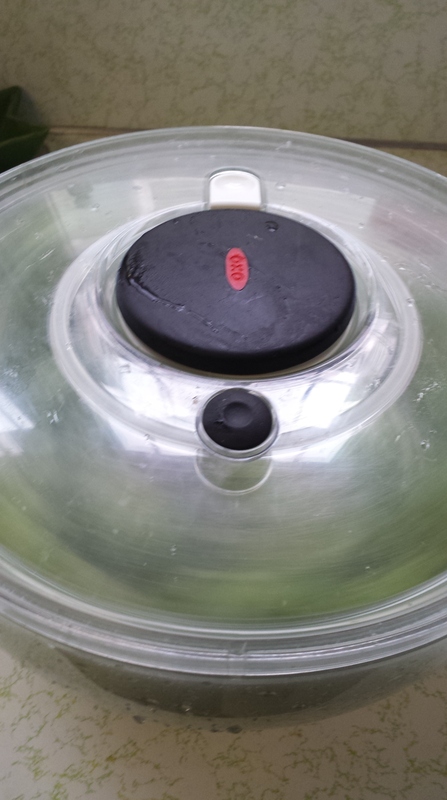 My salad spinner. Give them a quick rinse. If you are using a colander, drain and pat the veggies dry. 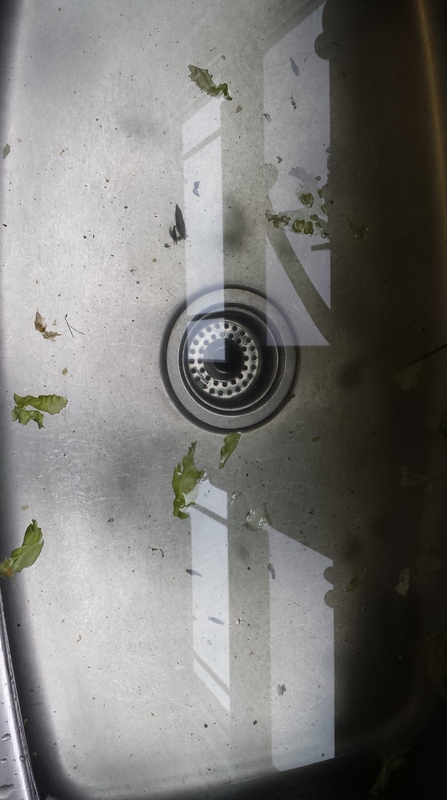 If you are using a salad spinner, spin away. Get the veggies completely dry, as you’re likely to be saving them for future use. 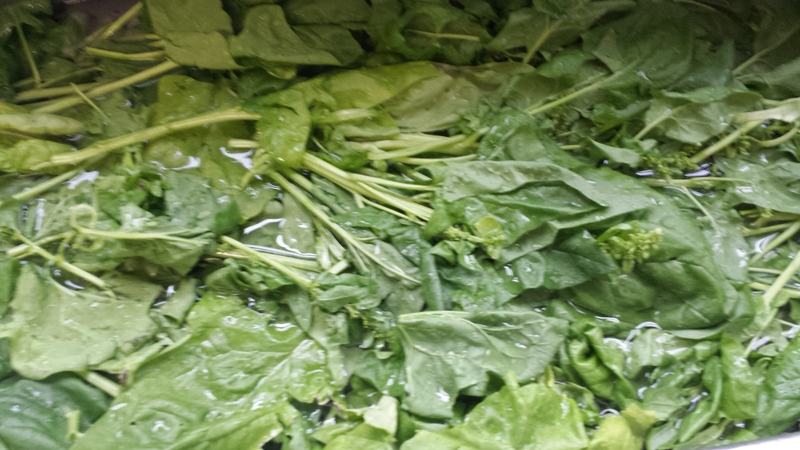 The same process with giant spinach leaves. Step four: Store as needed, and enjoy soon. 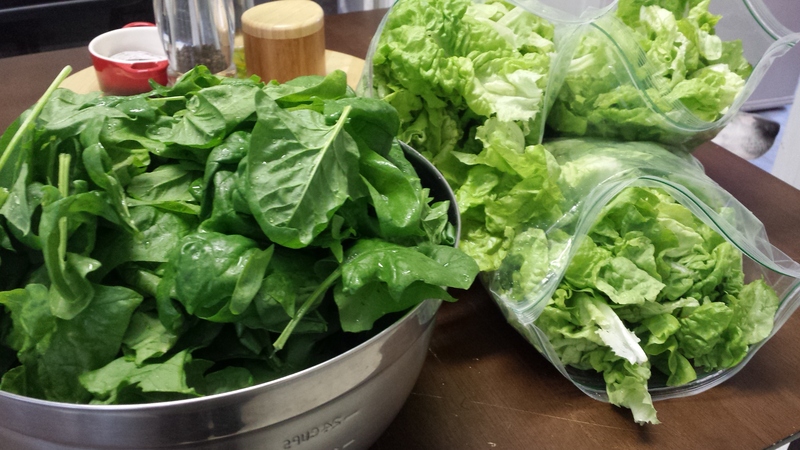 I am going to blanch, drain, and freeze the spinach, for some lovely party appetizers at some point down the road. 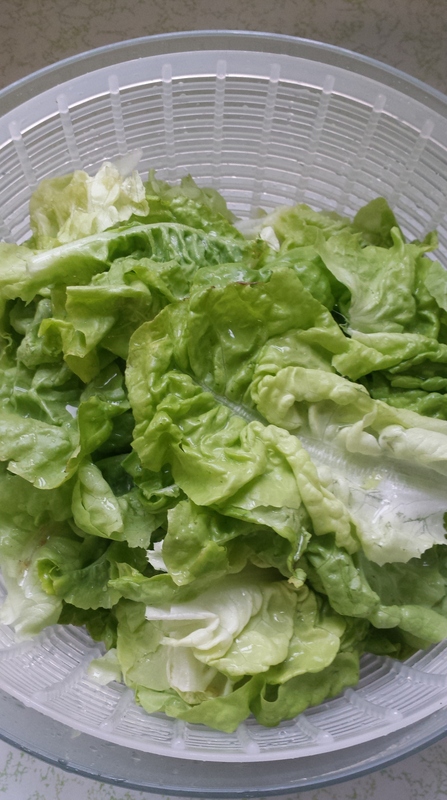 One bag of lettuce went into a Father’s Day salad, and the other two went to obliging relatives. I’d love to hear if any of you have had success with different ways to extend the life of your fresh produce. Chime in! 16 Jun	This entry was published on June 16, 2014 at 8:33 pm and is filed under Collection. Bookmark the permalink. Follow any comments here with the RSS feed for this post.